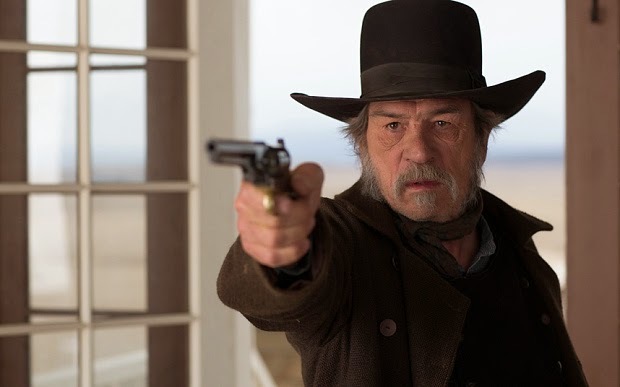 The Homesman is the latest directorial outing for veteran actor Tommy Lee Jones (following 2005’s The Three Burials of Melquiades Estrada and 2011’s The Sunset Limited) is a revisionist western in the model of Kelly Reichardt’s Meek’s Cutoff. Putting the female experience front and centre, the film focuses on Hilary Swank’s Mary Bee Cuddy, who leads a party of three women back east to civilisation, finding refuge with a Methodist minister’s wife (Meryl Streep). driven pretty much insane by the hardships of life on the American frontier. When I completed about? Why was your vision “minimalist”? Because of the landscape, which mostly consists of a line that divides heaven and earth? The line is usually straight, which creates an emotional environment as much as a natural one, and you can take it from there. Why was it important for you to explore the female condition in the mid-nineteenth century American west? It was important for me to explore because I think it’s the origin of the female condition today. 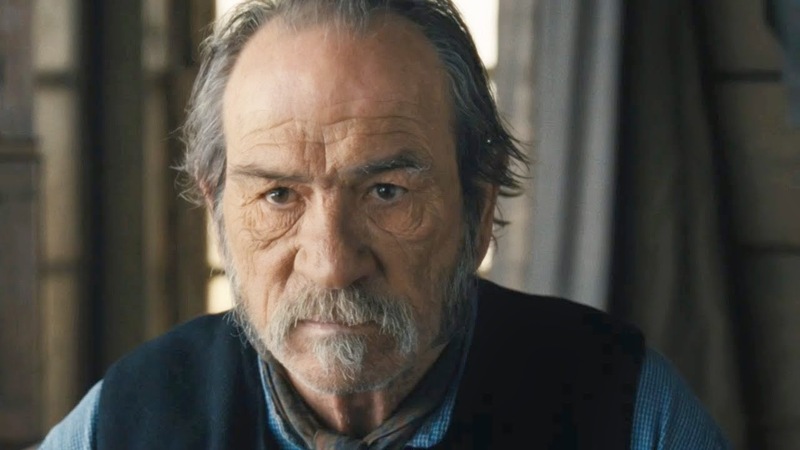 Who is George Briggs, the character you portray in the film? George Briggs is a fearless man, a claim jumper, an army deserter – an independent man of rather low character. He is willing to help a woman who believes she can get across Nebraska in a wagon with three insane women as passengers. The truth is he agrees to help her out because she rescues him from a very dangerous situation, and so he is indebted to her, even though she finds out that she wouldn’t have made it on her own. Do you consider it to be a western? I don’t know how the term western is defined. I have the impression over the years that the western is a movie that has horses in it and big hats and that takes place in the 19th century usually on the west side of the Mississippi river. I’ve even read critics who are bold enough to call a science fiction movie a western. It’s a term that people use so often that I don’t think it has much meaning anymore. So I’m not sure I can really answer your question, because I don’t know what a western is. How was it working with Hilary Swank? It’s wonderful to work with Hilary Swank; she’s always prepared, happy and very creative. She read the script very rapidly and understood it. She’s always ready to go, at the very beginning of every single day. It’s a joy to know Hilary Swank, and a greater joy to work with her. Meryl Streep needs no praise, she’s got plenty of it. She’s one of the finest movie actors in the history of cinema, and I’m very happy to call her a friend, because to be a friend of hers is another total joy. Tell us about James Spader. Spader is a very fine movie actor and he’s very good company. He’s a congenial man, very funny, and we always had a lot of fun, whether working or playing. But the character that he brings to the screen has nothing to do with the real James Spader. Hailee is a complete actor, beyond her years. She had a small part in this film but a very important one and she played it perfectly with no evasions, nothing extra, or irrelevant. She’s very simple and very direct to the material. A couple of the scenes she appeared in had a strange quality to them – she was able to observe and play in a way that made perfect sense to the narrative. How do you use rehearsal to prepare your cast? Well, everybody needs to know where to stand – that’s called blocking – and everybody needs to gain confidence, to know their lines, to gain some idea of what the camera is doing, whether it’s going to move, whether it’s close or wide. And with rehearsals actors can develop an idea of how they relate to one another. Every rehearsal is different: some people need a lot of them, some people need very little; some people can get a lot of rehearsal and won’t do better; you never use rehearsal the same way twice. But the point of rehearsal is to be ready, and the readiness is all, I read somewhere. Please tell us about your work with production designer Meredith Boswell. Meredith is a wonderful production designer, and she can design the simplest of things, including a wagon rolling across 19th century Nebraska and when you put a lens on it, it’s always beautiful and very functional. She is the best production designer I’ve ever met. Billy Burton and you have struck up a strong sense of camaraderie. I’ve been working with Billy for thirty five years and we’ve always got good results. We communicate clearly, concisely, and quickly. He’s getting a little older now but he has been one of the handiest people in the motion picture stunt business. 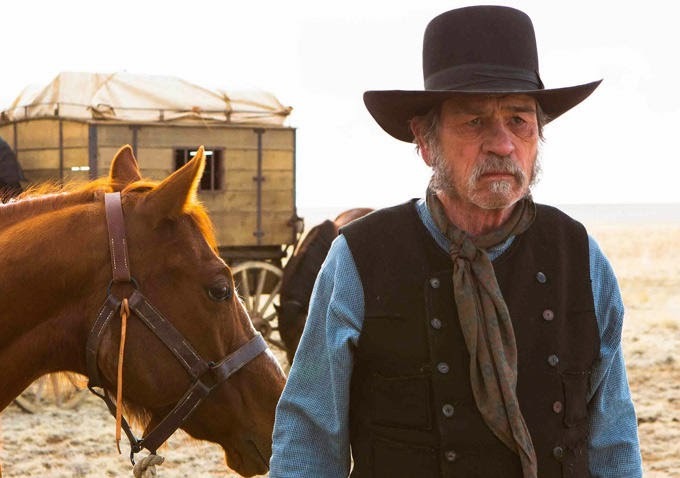 “The Homesman” is released and distributed by CAPTIVE CINEMA. SHOWING ON DECEMBER 17, 2014.